Few midfielders in the world will be able to offer the experience possessed by the former Arsenal and Barcelona star, while his biggest asset remains his passing ability. 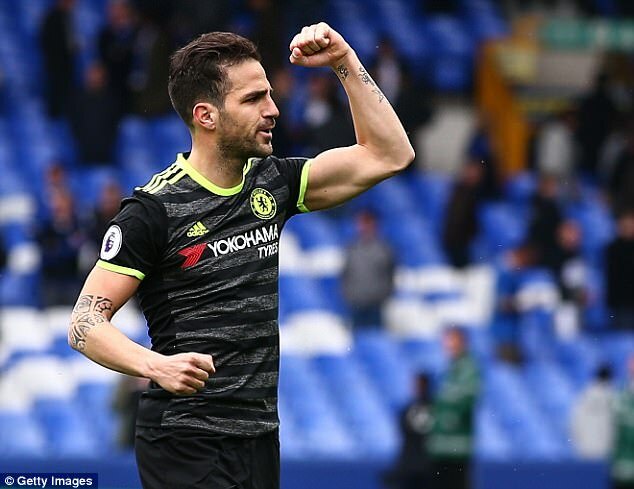 It was once again evident during the 3-0 win over Everton last weekend, as Fabregas came on as a late substitute to help Willian score the third goal. This goal proved decisive as it finally ended any Everton offence, and moved Chelsea one step closer to the league title. However, United and Liverpool are reportedly ready to make a £25 million offer for the player. "Chelsea can’t let him go. They’ll be playing Champions League next year and they’ll need his craft and experience. I just love him. Whenever he starts or comes on, he’s one of my favourite players, he’s just a pure footballer.I think he wants job satisfaction, he just loves to play football. It’s not a money issue, he just wants to play. He will get that opportunity next year and I just hope he has the patience,” said Wilkins. Next season, the presence of Champions League may provide more opportunities for Fabregas to start games.